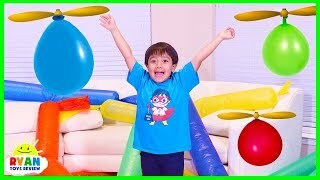 Ryan plays Nickelodeon Slime Balloon Hot Potato Game!!! 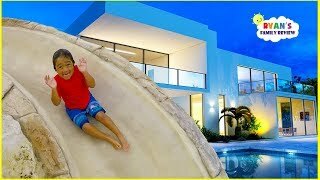 Ryan's New House and New Swimming Pool Tour!!! 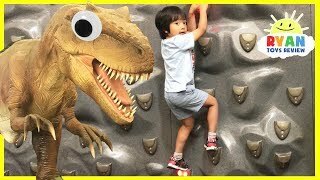 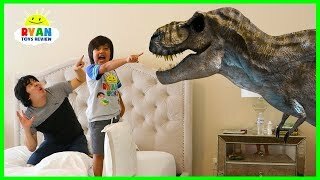 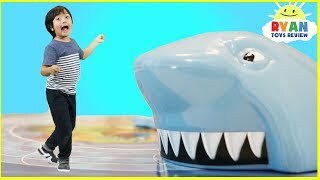 Jurassic World Fallen Kingdom Dinosaurs T-Rex Visits Ryan ToysReview at home! 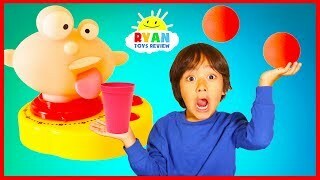 BOUNCE WITH RYAN- New Show!!!! 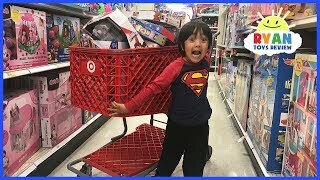 KIDS TOY SHOPPING SPREE WITH RYAN!!!! 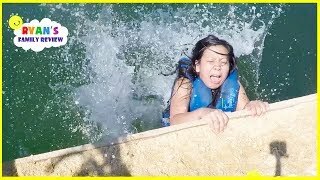 First Time at the Beach in Mexico + Ryan Surprise Mommy with Dinosaur Eggs!!!! 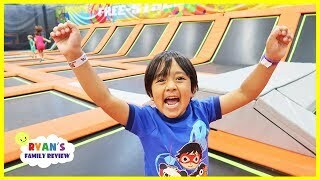 Trampoline Park Challenge Family Fun Playtime with Ryan!!! 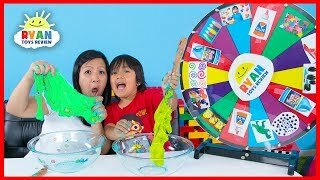 Mystery Wheel of Slime Challenge Ryan's Mommy vs Ryan's Daddy! 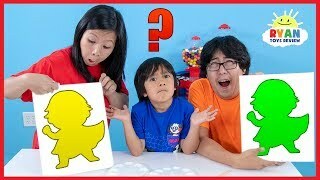 3 Color Mystery Slime Art Challenge!!!!! 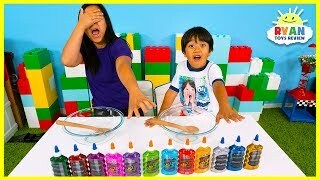 Twin Telepathy Slime Challenge Ryan vs. Daddy! 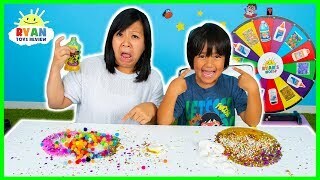 No Bowl No Spoon Slime Challenge Ryan vs Mommy! 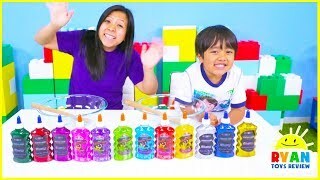 Twin Telepathy Slime Challenge Ryan vs. Mommy! 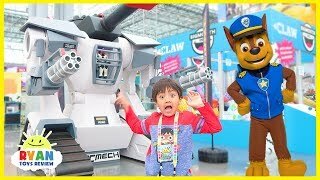 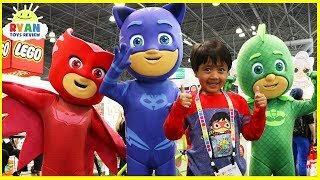 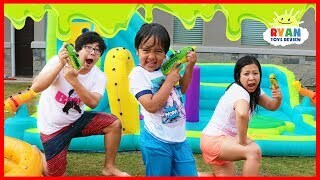 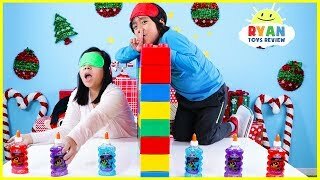 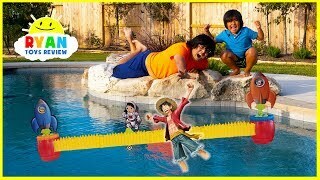 Splash Dunk Tank Challenge Family Fun Activities with Ryan ToysReview!!! 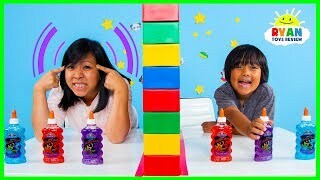 Ryan's Rocket Race Game vs. 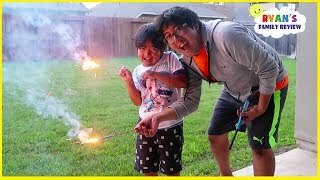 Daddy!! 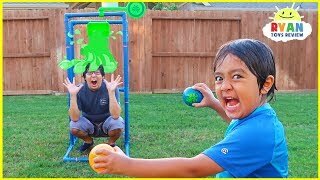 Loser Gets Blast with Slime!!!!! 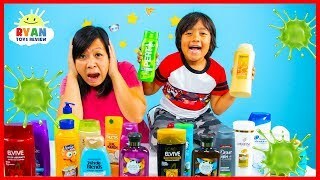 Don't Choose the Wrong Shampoo Slime Challenge!!! 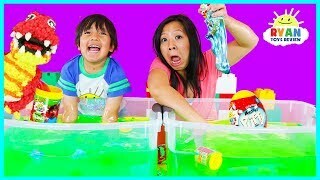 Ryan's Rocket Race Game with Losers getting slime and toys into the pool!!!! 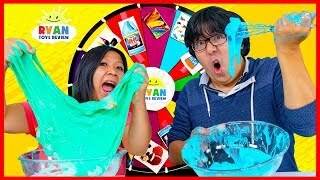 3 color of glue slime challenge with mystery wheel of slime!!! 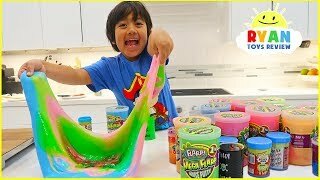 Mystery Wheel of Slime Challenge!!!! 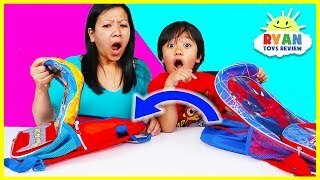 Ryan Pretend Play Making Slime and Learn in School!!! 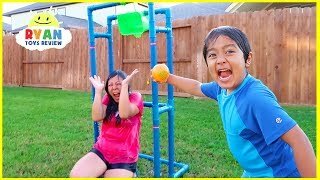 Dunk Tank Challenge Family Fun Activities with Ryan ToysReview!!! 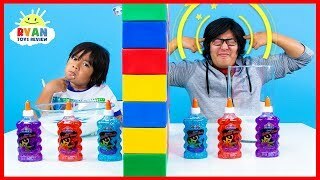 Ryan Plays the Pimple Popping Game Pimple Pete! 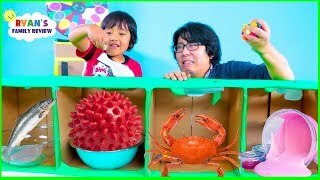 Ryan's World Slime Baff Surprise Toys Challenge game | Mystery Slime , Mystery Putty, Molekule!!! 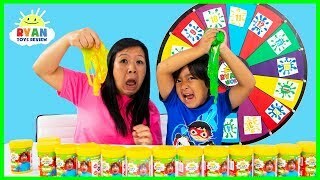 3 Color Slime Challenge Mystery Wheel!!!! 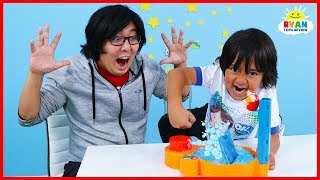 Ready2Robot Surprise Toys with Slime Robot Battles!!! 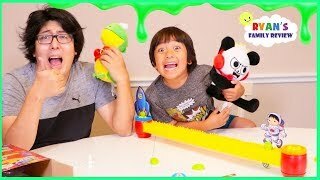 SLIME BLASTER CHALLENGE with Ryan's World Toys!!!! 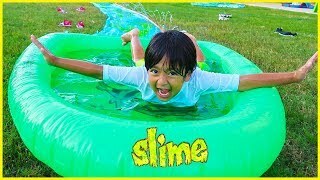 SLIME Water Slide for Kids H2O Slip N Slide Inflatable toy!!! 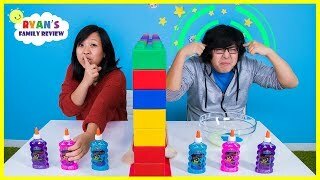 Twin Telepathy Slime Challenge with Milkshake! 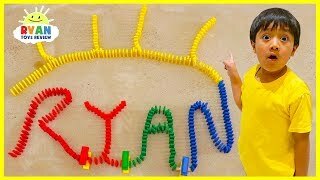 Did Ryan peek???? 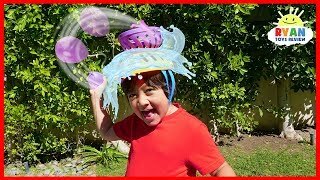 Ryan finds a Giant Mystery Breakout Beasts Slime Egg from Mega Construx! 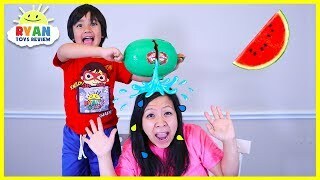 Ryan plays Watermelon Smash Challenge on Mommy! 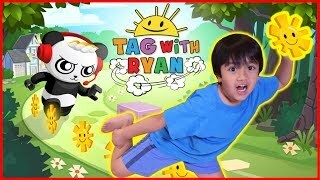 Ryan plays Tic Tac Tongue Catch Bugs Game!!! 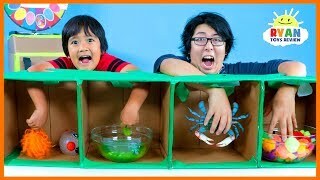 What's in the Box Challenge Ryan vs Daddy!!!! 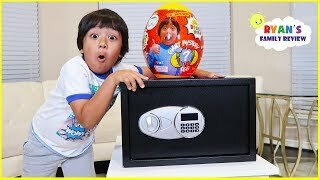 Ryan Hides All Of His Surprise Toys in a Secret Safe for Future Ryan!!! 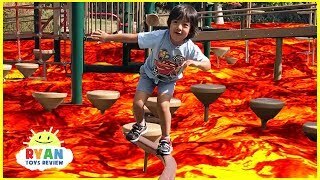 Ryan plays Hot Tub High Dive!!!! 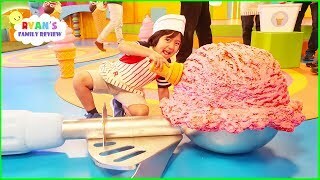 Ryan's Mystery Playdate Giant Ice Cream Challenge Premiere Today on Nickelodeon!! 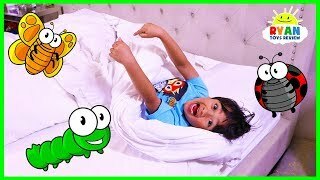 Ryan plays Bed Bugs Board Game for Family Game Night!!! 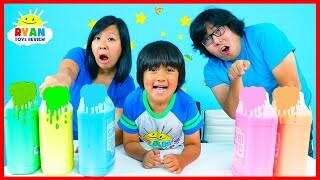 Painting Ryan Superhero Red Titan Challenge Mommy vs Daddy!!! 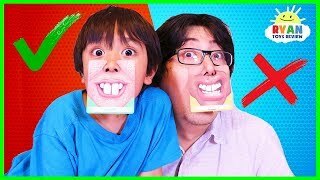 Ryan plays Who's Nose Guess Your Face Board Game for kids! 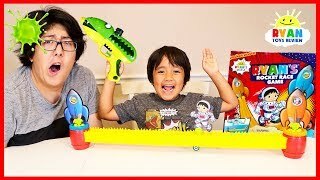 Ryan's Rocket Race Game with Loser favorite toy into swimming pool!!!! 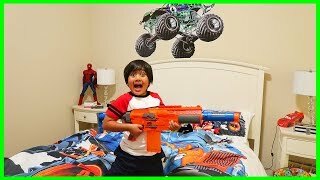 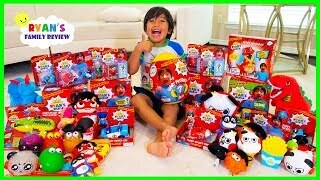 SURPRISE RYAN with All of His New Toys and Merch Ryan's World from Walmart!!! 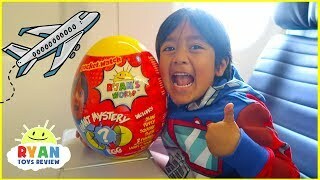 Ryan Opening Giant Surprise Egg Toy on the airplane!!! 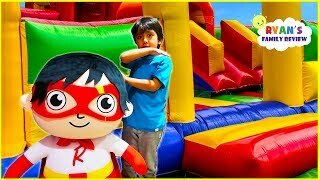 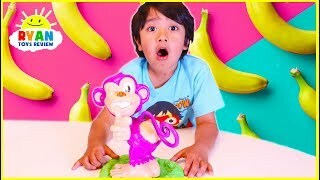 Pull My Finger Monkey game with Ryan ToysReview!!! 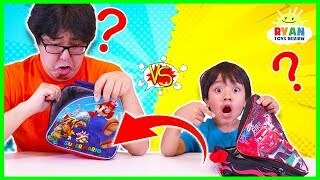 The Lunchbox Switch Up Challenge!!! 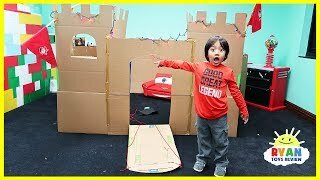 Ryan in Giant Box Fort Maze Challenge!!! 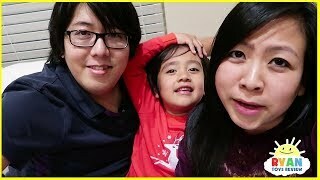 National Adoption Day Celebration with Ryan! 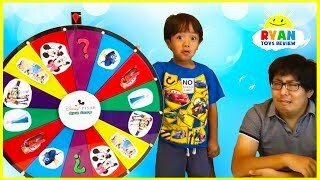 Prove it Board Game for Family Game night with Ryan ToysReview! 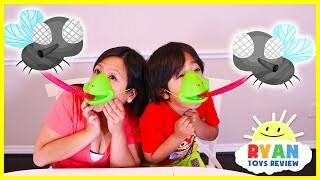 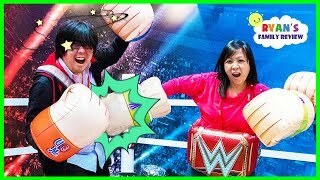 Toy Challenge Battle Mommy vs Daddy! 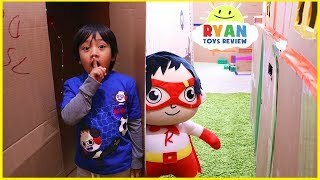 New Ryan's World Toys!!! 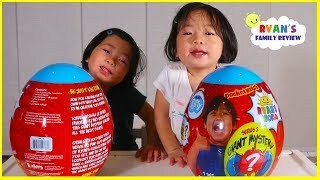 Emma and Kate Open Ryan's World Giant Surprise Eggs!